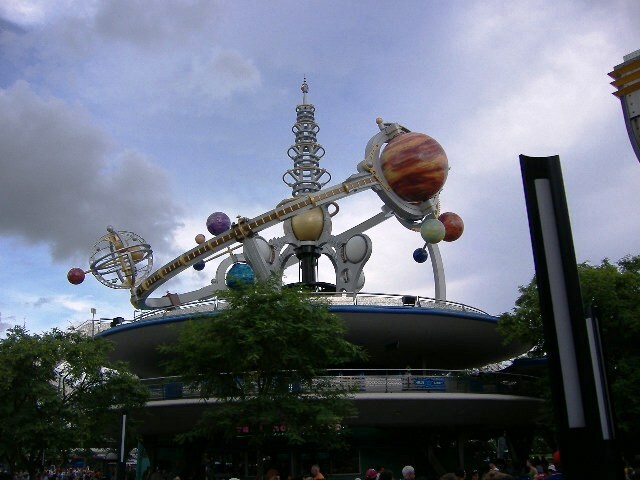 The Astro Orbiter, while similar to the Dumbo ride, has some unique qualities. 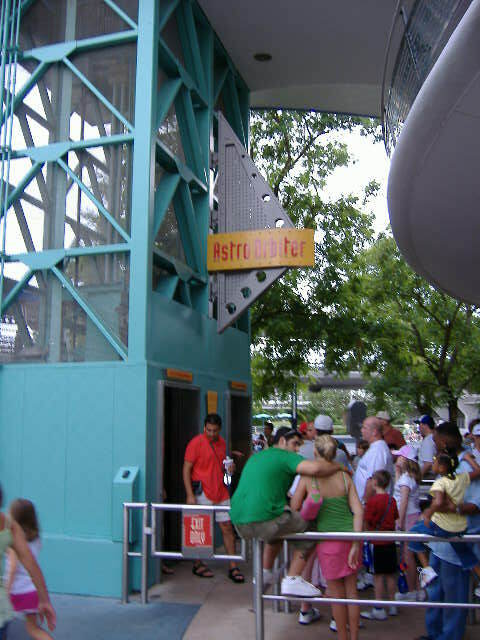 Visitors must travel up an elevator to reach the top of the building in order to board the jets. 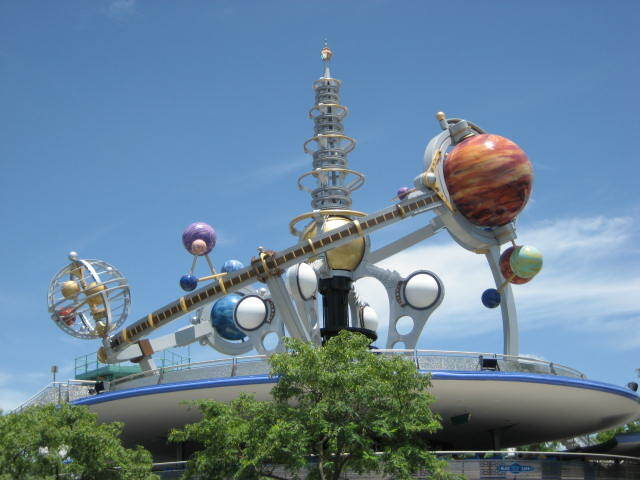 Once on board, riders circulate around a rocket and have the ability to make their jets go up and down. 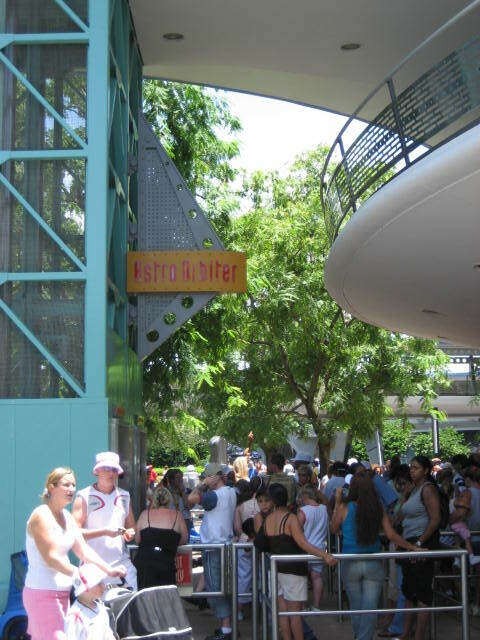 This ride tends to have a long wait, so ride early in the morning.